"It turned out there was a buy one get one free promotion happening and he was brave enough to head up there again and do it all over. Apparently it was a pretty view, being 45 meters up in low rise Bali right on the beach. There was a pool underneath and he even got a good dunk on the second attempt. It was fun to watch, especially someone else who was there who did his bungee by driving off the platform on a motorcycle. It was definitely one of the more ridiculous things I have seen! Although was a bit freaky when you could see him on his bike heading straight for us from 45 meters up.."
Seminyak also the place where you can do bungy jumping at the beach. 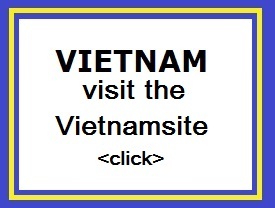 It's a very popular challenge among tourists. Here, both men and women, can test their courage and daring. You get more adrenalin. But it is not permissible for women who are pregnant or people with high blood pressure or heart disease. Here, no risks are taken. The first commercial operator of bungee jumping was A.J. Hackett from New Zealand who had seen the naghol ceremony on Pentecost Island. Around 1986 he made his first jump from the Greenhithe Bridge in Auckland. In the years after he jumped include the Eiffel Tower, which drew a lot of interest. The Bungy Company is to bring Bungy jumping to newer, more adrenalin packed levels offering signature jumps that can only found at The Bungy Company, such as the Moto Madness scooter jump and the Fire Ball jump. This sport is originated in New Zealand. Maybe it previously occurred on some islands in the South Pacific. It was actually a tradition of the Maori, who wanted to test the mettle of the young. They were tied with their legs to the branches of trees as proof of their virility. Then down were pushed into a valley. 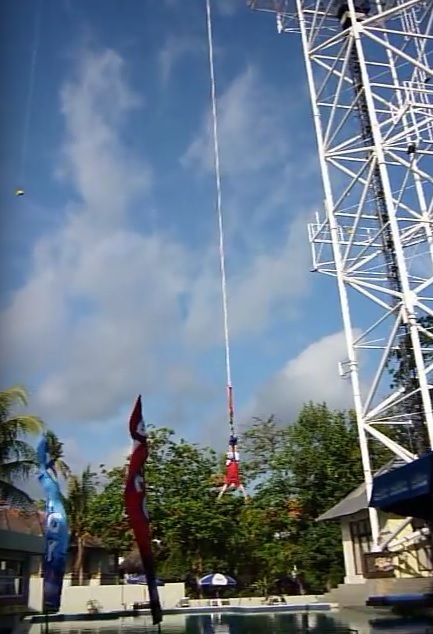 Bungy jumping was copied in Australia and then spread around the world, including Indonesia. With a modern, standard safety equipment is very safe. 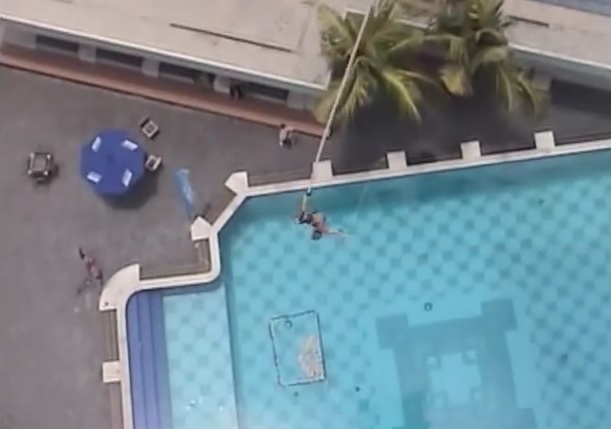 In Seminyak you'll jump from a tower, which is about 45 meters high. Below is a pool with a minimum depth of 4 meters. You can not miss the bungee jumping, when you search for the location. Look to the north along Sunset Road and you will see a 45 meter high tower in Seminyak. You can also come and watch for free, if you first want to see "how the wind blows". There is a special built bungy pool where the depth is at least 4 meters. On the beach is the perfect place to enjoy the action above. For those who crave a little liquid courage, we also have a large selection of colourful drinks at the pool bar, to drink yourself into courage, should the need arise! You do not have to climb up, because there is an elevator that takes you to the top (or back down). 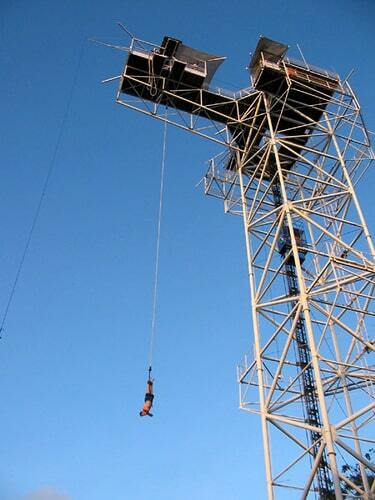 Regular � The classic bungy jump will see you bound by your ankles before jumping off the 45-metre tower. Try the big swan dive out, arms spread and eyes wide open. If you are jumping forwards, this is a great jump for water touch, giving you the opportunity to dip your head and shoulders in the pool below. Or if that isn�t daring enough or you, why not try jumping backwards? Tandem � This jump is perfect for adventurous couples, or in supporting a friend who�s nervous for their first bungy. The pair of you will be strapped in together and connected by the ankles before diving off the edge. Harness � You will be strapped in with a full body harness. Tun hard and launch yourself over the edge for a truly heart-in-mouth experience. If that�s not enough for you, attach the harness to your back try �the spider�, or go feet first for the elevator drop you will never forget. BMX-Treme � Push yourself to the limit with this daunting bungy jump. Believe it or not, this unique jump allows its participants to shoot off a ramp on a BMX bike. Wearing a full body harness and helmet, fly off the kicker ramp before you are flipped and rotated mid-air. Fire Ball � As crazy as it sounds, this jump involves being set on fire before taking the plunge � you literally become a real life fireball. Participants wear a leather suit over fireproof underwear, they are set alight on the platform and jump off head first toward the refreshing pool below. Moto Madness � Another jump exclusive to The Bungy Company, this jump combines two audacious stunts. As the name suggests, this jump involves revving a motorcycle off a ramp and facing the ultimate bungy experience.